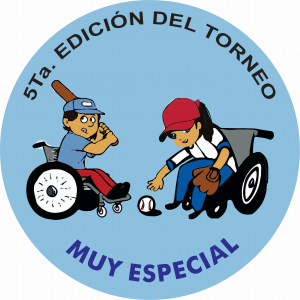 PRIMERO QUE NADA, RECIBAN UN CORDIAL SALUDO DE FAMILIA MUNGARAY IBARRA, ASI COMO LA INVITACION PARA NUESTRO TORNEO NACIONAL DE BEISBOL (CONVIVENCIA) PARA NIÑOS Y JOVENES CON DISCAPACIDAD EN SU QUINTA EDICION. CONVOCA A TODAS LAS INSTITUCIONES DE NIÑOS Y JOVENES A PARTICIPAR EN NUESTRO TORNEO A CELEBRARSE DEL 14 AL 19 DE MAYO DEL AÑO EN CURSO. INAUGURACION: LUNES 14 DE MAYO A LAS 6:00 P.M. EN LAS INSTALACIONES DE LA UNIDAD DE BEISBOL INFANTIL JOSE ALBERTO HEALY NORIEGA UBICADA EN BLVD. JOSE ALBERTO HEALY NORIEGA (CARRETERA A MINERA NYCO). COMO USTEDES SABEN SE LLEVARA A CABO NUESTRO TRADICIONAL DESFILE HASTA LOS CAMPOS DEPORTIVOS, PARTIENDO DE LA EXPLANADA DEL ESTADIO HECTOR ESPINO. (ESTARAN LAS UNIDADES PARA TRANSLADO A LOS CAMPOS DESDE LAS 3:00 P.M. FAVOR DE SER PUNTUALES YA QUE LA SALIDA ESTA PROGRAMADA A LAS 4:00 P.M. DESPUES DE LA INAUGURACION TENDREMOS UN ROMPE-HIELO PARA NUESTROS PARTICIPANTES ESTRELLAS). FECHA LIMITE PARA CONFIRMAR LOS EQUIPOS 20 DE ABRIL DEL 2018. TENDRAN DERECHO TODAS LAS INSTITUCIONES Y ESCUELAS CON NIÑOS Y JOVENES CON CUALQUIER TIPO DE DISCAPACIDAD Y SOBRE TODO MUCHAS GANAS DE PARTICIPAR, DE HERMOSILLO, DEL ESTADO, Y DEL PAIS. JUGADORES POR EQUIPO, MINIMO 10 Y MAXIMO 14 (HACER LOS EQUIPOS DE TAL MANERA QUE LOS JOVENES-ADULTOS QUEDEN EN UNO Y LOS JUGADORES PEQUEÑOS EN OTRO EN EL DADO CASO DE QUE PUEDAS FORMAR MAS DE DOS EQUIPOS). EN TODO MOMENTO LOS NIÑOS Y JOVENES PARTICIPANTES ESTARAN ACOMPAÑADOS POR UN JOVEN SOMBRA (GUIA). LOS NIÑOS Y JOVENES PARTICIPANTES DEBERAN CONTAR CON SEGURO MEDICO YA SEA PARTICULAR O DE INSTITUCIONES PUBLICAS. DURANTE LOS JUEGOS ESTARA UNA AMBULANCIA Y EQUIPO MEDICO PARA CUALQUIER CIRCUNSTANCIA QUE SE PRESENTE DURANTE LOS MISMOS.